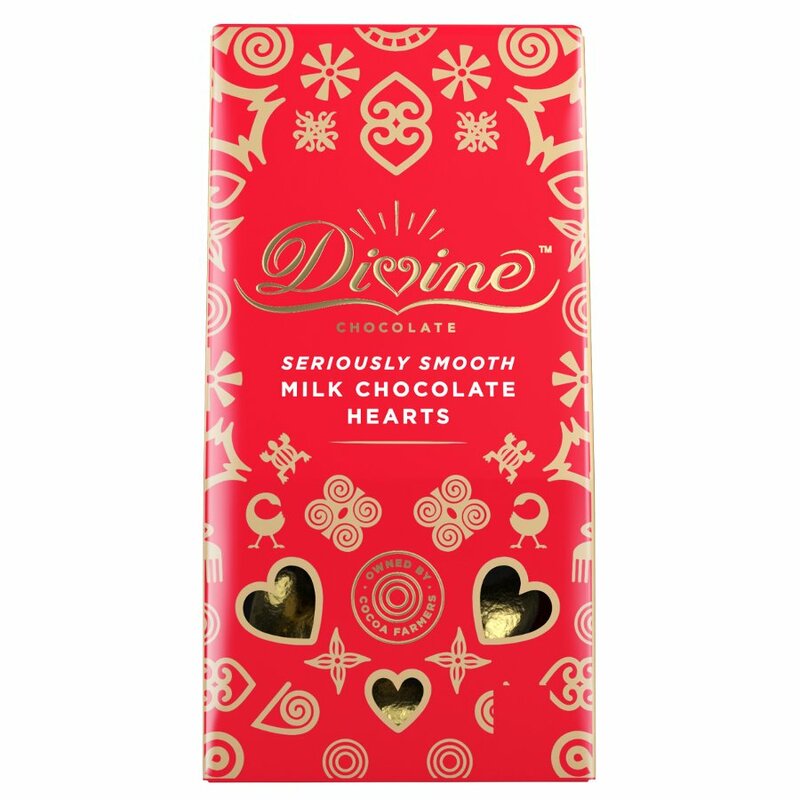 Make every day special for your loved one with these milk chocolate hearts. Hand wrapped in gold foil and beautifully presented to make the perfect gift. Sugar, Fairtrade cocoa butter, dried cream, whole milk powder, Fairtrade cocoa mass, cocoa mass, emulsifier: Sunflower lecithin, real vanilla. Warning: Contains milk and is not suitable for vegans. May contain traces of nuts and gluten. 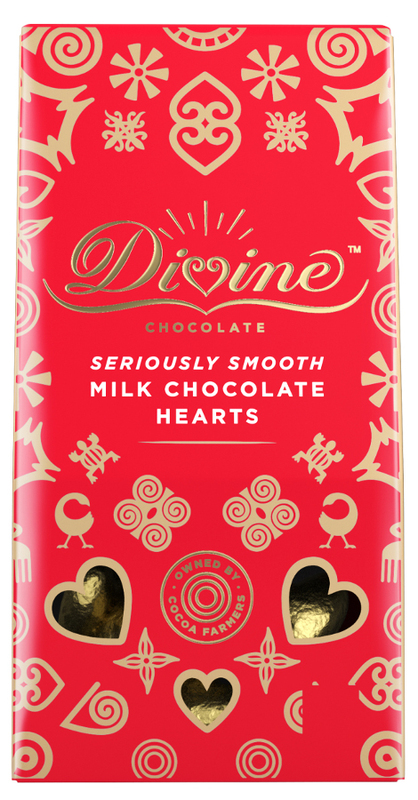 There are currently no questions to display about Divine Milk Chocolate Hearts - 80g.